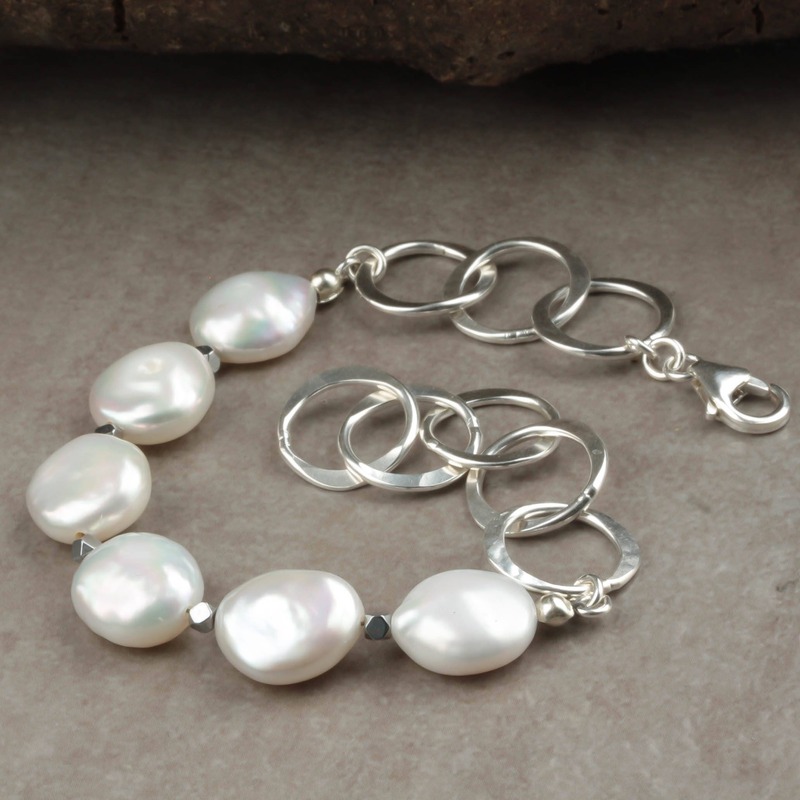 * Can be worn at any length up to 7"
* Top quality coin pearls and solid nickel free sterling silver. 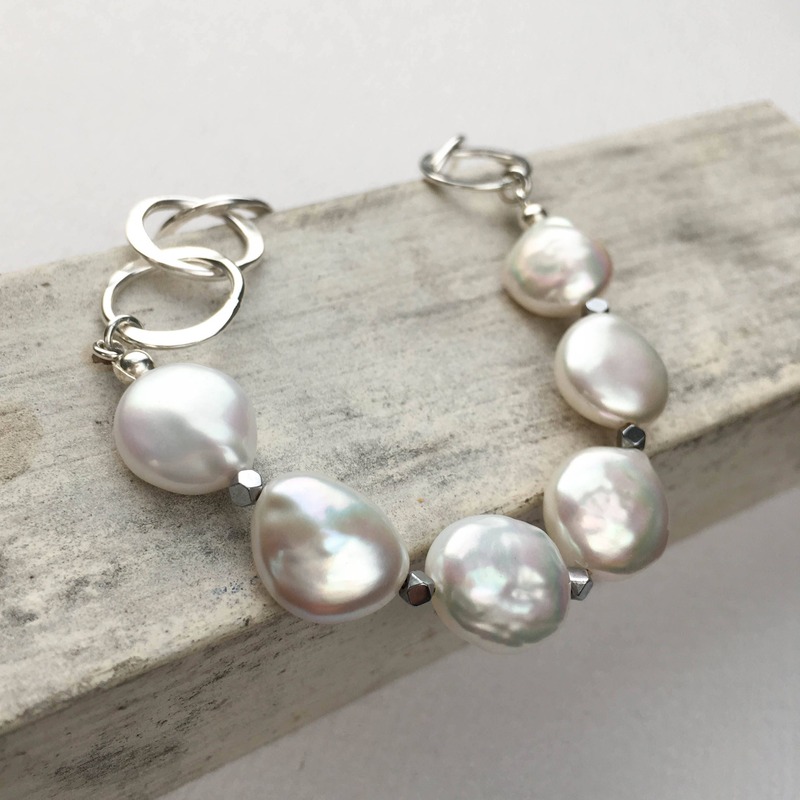 This unique bracelet is handmade with solid sterling silver and luminous freshwater coin pearls. 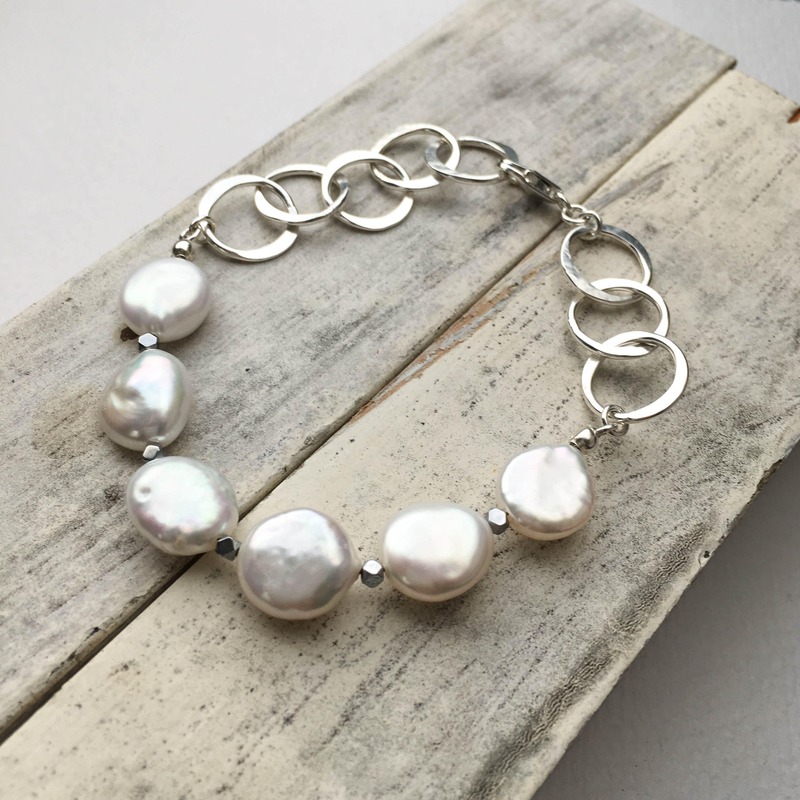 The pearls are separated with tiny silver pyrite gemstones to give the design just the right amount of sparkle and movement. 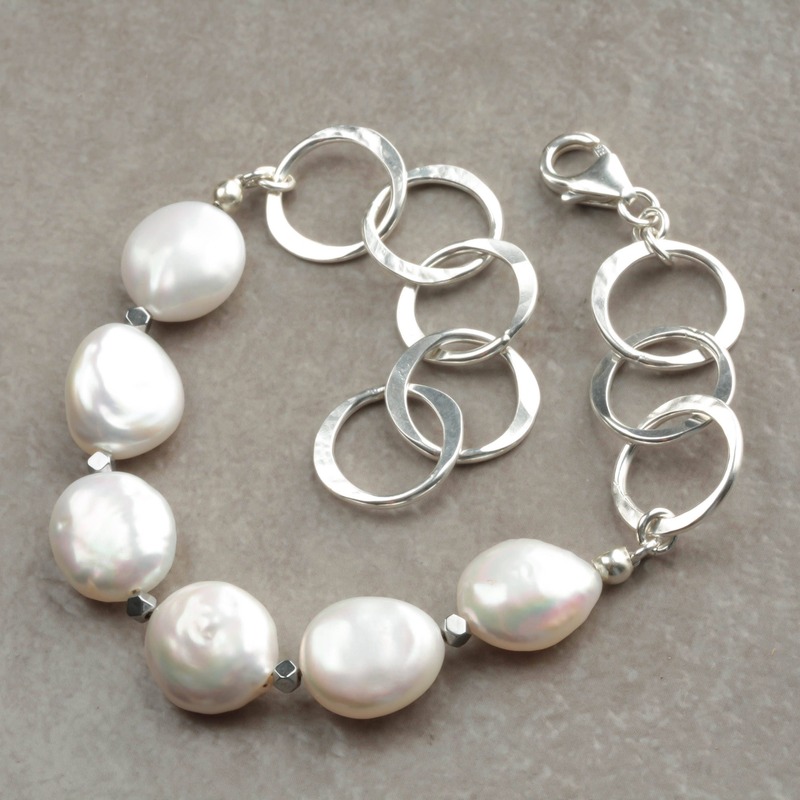 I create the silver chain by hand, link by link these are soldered and hand hammered for texture. 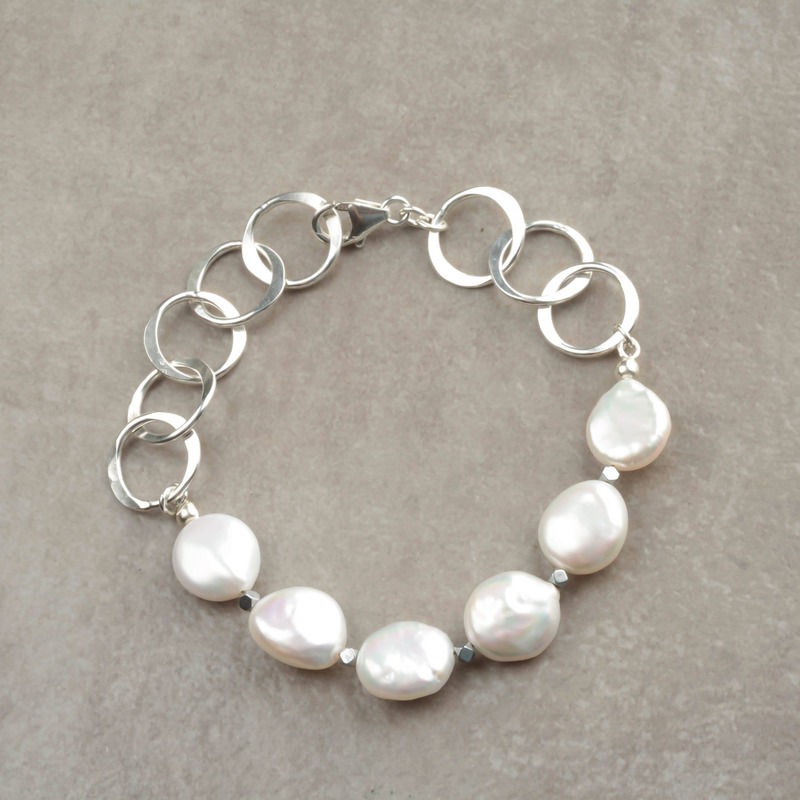 The chain is given a high shine to catch the light perfectly. 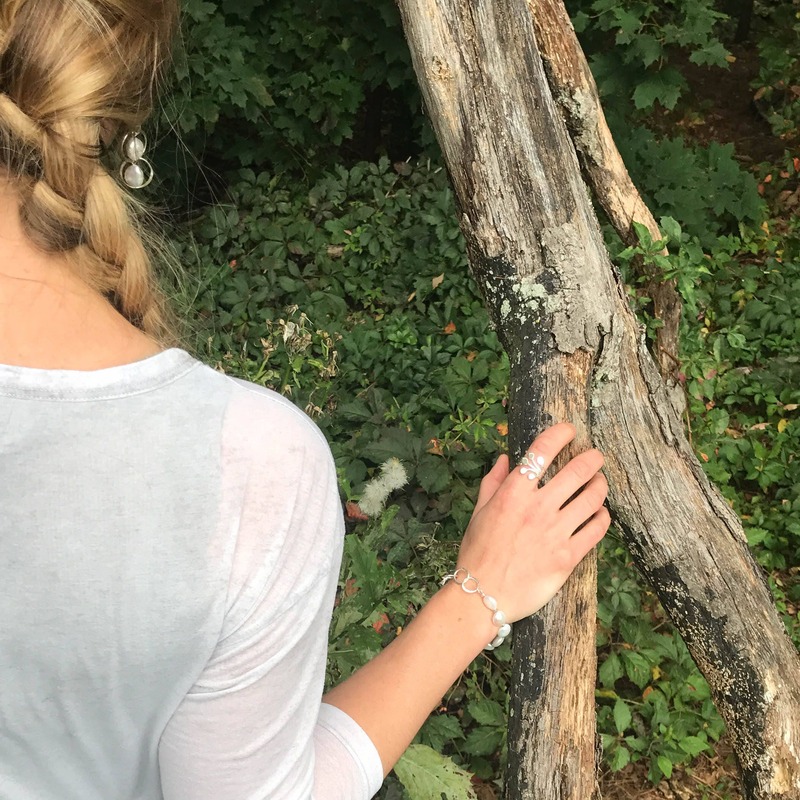 The lobster claw can fit onto any of the links, the longest it can be worn is 7" but if you need that adjusted feel free to make a note on your order. This is made to order so customizations are no problem at all! LOVE LOVE!! 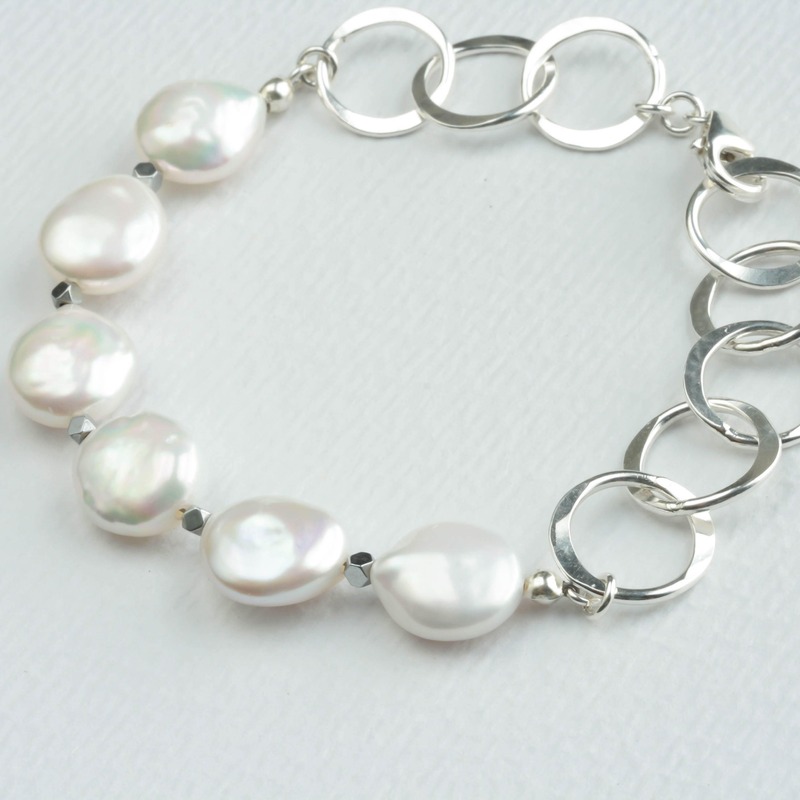 Classy, yet everyday bracelet! 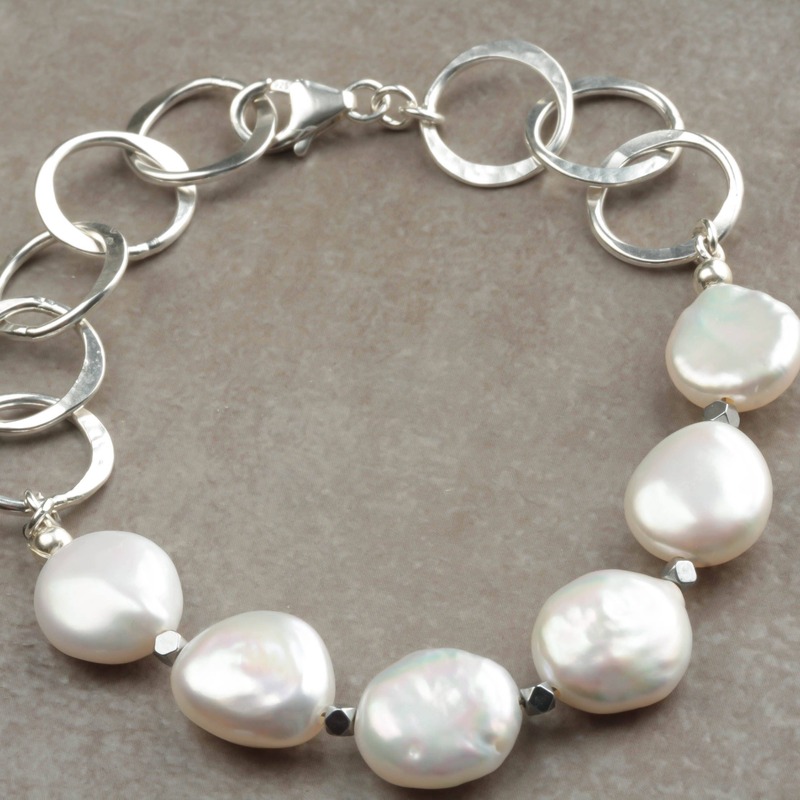 Love pearls, thank you!!!!!! 3rd of 3 items I ordered myself "from my husband" for Christmas. All are great and can't wait to wear them. 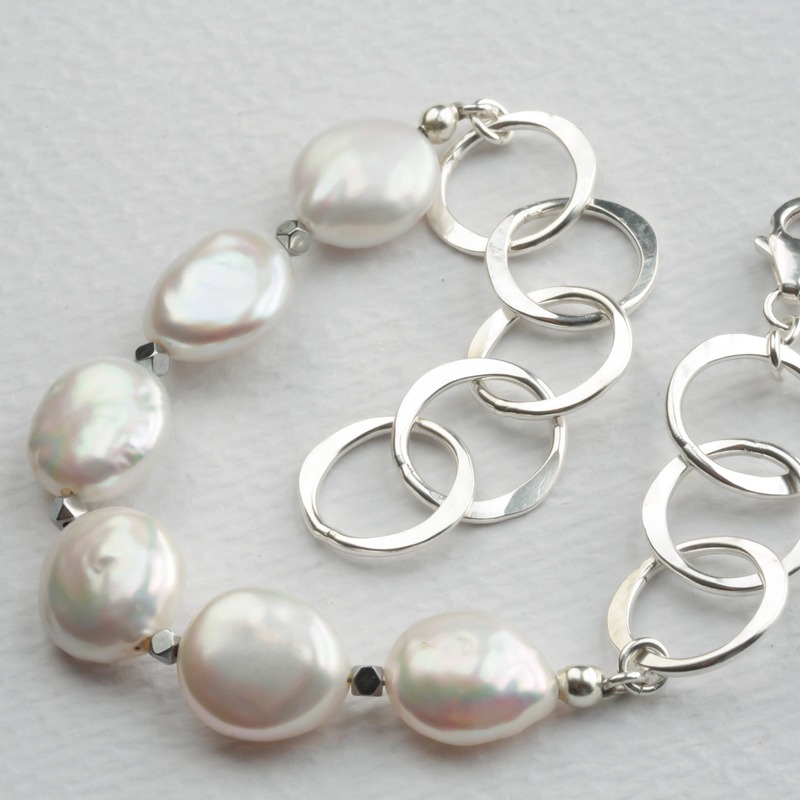 Elegant bracelet that is easy to put on (important particularly when getting dressed for work in a hurry). Love the simple, yet beautiful look. Arrived so quickly! Feel confident when purchasing from Lizardi. I have loved every purchase.